You would never have known it was his MLB debut. If it hadn’t been for Ryan Borucki and Clay Buchholz starting the season on IL, Trent Thornton probably would have started 2019 in AAA. In sports, injuries to one player mean opportunity for other players. Thornton had a solid season at AAA in 2018, finishing 10th in the Pacific Coast League with a 4.42 era. He also had the best spring training of the rookies who were likely being considered for a rotation spot if the need arose (Reid-Foley, Pannone). Thornton made the Blue Jays out of spring training and was named as the starting pitcher for the series finale on Sunday vs the Tigers. 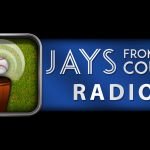 Going in to Sunday’s game, the Jays’ starting rotation had yet to allow a run. Could rookie Thornton, making his MLB debut no less, possibly continue that streak? No pressure! Thornton was more than up to the task. After giving up a single to the first batter of the game Jeimer Candelario, he proceeded to strike out the side. He would only surrender one more hit the rest of the way. Thornton pitched 5 shutout innings, giving up two hits and striking out 8 Tiger hitters (including future Hall of Famer Miguel Cabrera) and in doing so, set a Blue Jays record for strikeouts by a pitcher making his MLB debut. Maybe the most impressive stat was the 0 walks issued. Thornton has always had good pitch command – his BB/9 of 2.24 in 2018 at AAA was the highest BB/9 of his MiLB career. Prior to 2018 he had always been under 2.00. Unfortunately for Thornton and the Jays, they ultimately lost the game in 11 innings by a final score of 4-3. The key to Thornton’s success on Sunday was an effective mix of 4 seam fastballs and curveballs. Thornton’s curveball has reported to have a very high spin rate throughout his career, and the combination proved to be more than the Tigers’ lineup could handle on that day. Thornton did not appear to be the least bit intimidated to face MLB hitters for the first time (aside from exhibition games). He worked quickly, throwing 47 of his total 75 pitches for strikes. In a post game interview, his fellow rookie teammate Rowdy Tellez commented that Thornton looked like a 10 year veteran out on the mound. The Blue Jays acquired Thornton on November 17, 2018 in a trade with the Houston Astros for infielder Aledmys Diaz. Coming from an organization that had just won back to back division championships, along with the World Series in 2017, the Astros have a considerable amount of established major league talent. As a result, it can be difficult for prospects to get their opportunity at the big league level simply because there is nowhere for them to play. Thornton, along with fellow Astros prospect Hector Perez, had previously expressed gratitude for the opportunity to leave the Astros organization where there was a logjam of talent. A rebuilding team such as the Blue Jays provides the perfect opportunity for young talent to shine. Now it’s up to them to make the most of the chance. Thornton’s strong debut as well as the fact that Borucki, Buchholz and now Clayton Richard are all a ways away still means that Thornton will get more starting opportunities with the Jays. If he keeps doing what he did on Sunday, the Jays will have some decisions to make once everyone is healthy. It’s a good problem for them to have. NEXT Next post: Will 2019 be the year Buffalo Bisons return to the playoffs?